So these are montane plants that enjoyed the sub-tropical Tertiary and then during the Glacial Age only survived in lowland gorges and ravines where the climate was sufficiently stable, mild and humid. The north-facing cliffs and ravines along the southern edge of Lake Skadar are therefore perhaps an important refuge. 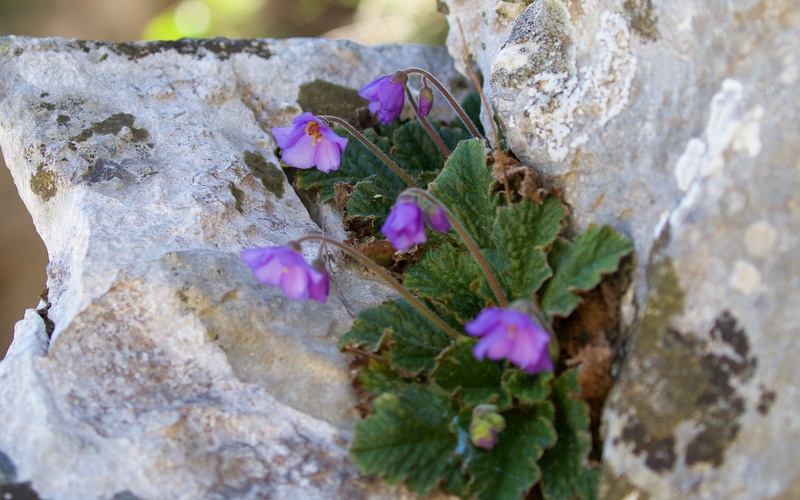 Ramonda serbica sheltered on a north-facing cliff ledge above Lake Skadar.